Ever find yourself in one of those moods? Stuck in a rut, worn out, occasionally seeing the negativity in things turns into an involuntary habit you can’t seem to kick. Clawing your way back out can take some time, and it can also require some assistance. This is getting drawn out, but there’s a point that I’m trying to make and it’s this – that assistance often can come from somewhere you weren’t expecting. Continuing with the pairings of hook-filled pop music along with soul-inflating optimism and realism, both “Save Yourself” and “Bulletproof” could easily be slipped into any Top 40 radio rotations. Even in the darkest, most uncertain of times, there’s still a chance at light. On the album’s softest and simultaneously strongest track, armed with his acoustic guitar, piano, and haunting background vocal support, Holden tackles family, love, sexuality, growth, and acceptance. “Boys In the Street” narrates the lives of a father and son following the son’s coming out. For everything that I could say about it, about the chasm that separates the two, or about the steps taken to find an eventual understanding, there is much more that it needs to say for itself. Bridging the gap between his faster, louder work and his softer side, tracks like “Give It Away,” the fantastic “Free Again,” and “A Wonderful World” find common ground between the two styles. The latter two of those three, which are placed one after the other, share relatively similar qualities in their choruses. Individually, they each succeed, though their back-to-back positioning could potentially reduce their impact. To this point, Holden is mostly known (arguably) for his writing credit on Phillip Phillips’ “Home.” As huge and successful as that song was, Chase the Sun should earn him the same praise; praise that he, as a songwriter and performer, deserves. As I mentioned (or rambled on about) earlier, help can come from unexpected places. But it comes when it’s needed. This time around, I’m giving the credit to Greg Holden. 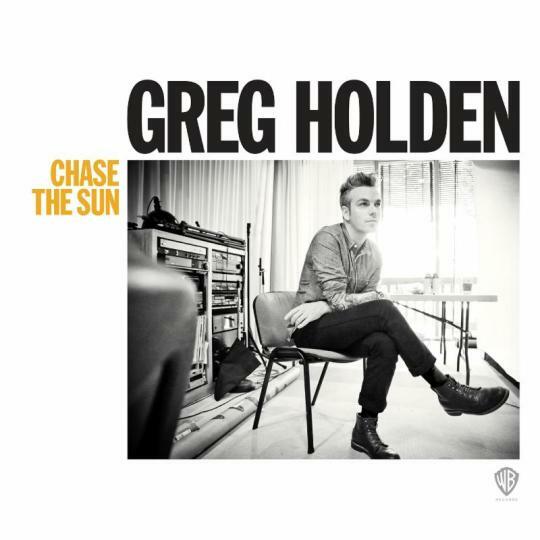 Chase the Sun, with its positivity and charm, combined with Holden’s charismatic voice and undeniable hooks, shakes away the shadows.